Where can I find Self Storage Near me? 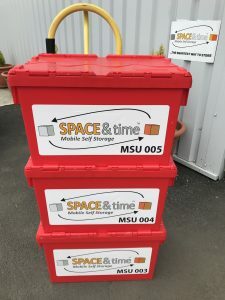 Whether you’re a business owner looking for somewhere local to store your excess stock or a student wondering where to put your possessions over the summer holidays, Space & Time Mobile Self Storage are the UK-wide storage specialists. Mobile self storage offers one major advantage over traditional self-storage options: our customers don’t have to arrange any transport or even go anywhere near our storage facility because we go to them. For students in particular, this is a game-changer. Students are often unable to take advantage of professional storage anyway because they either don’t have a driving licence or are unable to access a suitable vehicle. Van hire companies often impose age restrictions and even those students who can get hold of a van may feel uncomfortable about driving it, especially if they are inexperienced drivers or unfamiliar with the area. Of course, business owners will usually have access to a van but taking one out of service isn’t ideal as it disrupts productivity, adding further costs to off-site storage. Fuel is another issue when it comes to traditional self-storage and can cost more than students realise. The problems above are easily solved by using mobile self-storage. The student and business owner alike can focus on their work and just set aside some time to pack their pre-delivered storage boxes ready for collection. 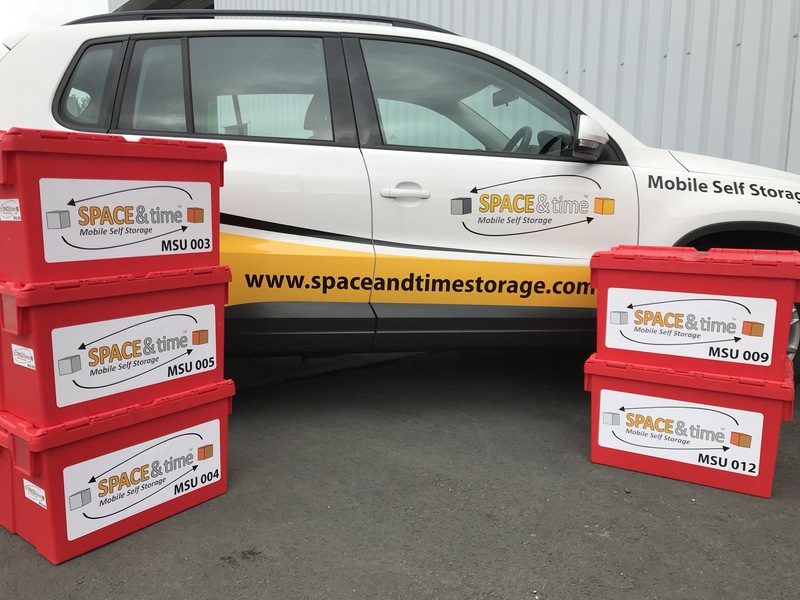 You can start booking your storage with Space & Time instantly. Simply go to our home page and select the ‘Get Started’ button. Our intuitive booking wizard will walk you through the nine step process and you can revisit and edit sections at any time. Part of the process involves choosing a convenient date for us to deliver your flatpack boxes. You can also pay a little extra to specify a time window. At the same time, you can arrange the date and time that we come to collect your packed boxes and any other items you need to store (we can accommodate anything from suitcases and pieces of furniture to guitars and golf clubs). When you need to regain possession of your belongings, let us know where and when you need them returned to. This could be local, national or even global. How do you know your business stock or personal items will be safe with Space & Time? We have invested in top grade security measures to make sure our customers can relax in the knowledge that their goods are in safe hands. Each of our clean and dry storage units are protected by a combination of digital CCTV and monitoring alarm systems. Although the chances of anything going missing are remote, we do require that insurance is in place. You can add the level of insurance you need as part of the online booking process (step eight) or choose to use your own contents insurance by ticking the checkbox. We are committed to providing a smooth, stress-free self storage experience from the moment you start your online booking to the moment we deliver your goods back to your chosen destination. Word of mouth is a powerful marketing tool for us and our reputation is built up through consistent, high quality service and staff who are both helpful and professional. We understand the very different needs of our student and business customers and are dedicated to fulfilling those needs time after time. And remember: as we are a UK-wide company, even if you move your business or attend a new university, we will always be nearby. To find out more, call our friendly team on 0161 207 1260.